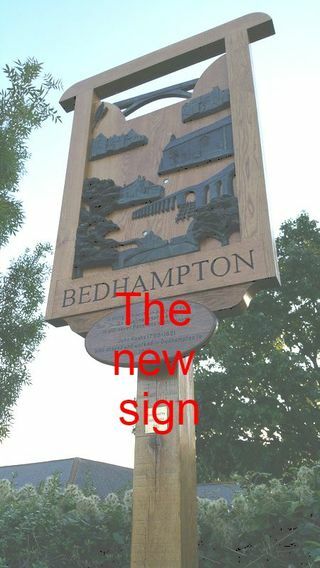 The shed was asked if we could help refurbish the Bedhampton village sign. We agreed and after it was delivered to us by Havant council we reviewed the state of the timber and bronze elements. It was decided that the timber should be renewed completely and the bronze elements be mended. Havant council agreed to pay for the timber and the team duly started work taking the bronze elements off and disassembling the timber. 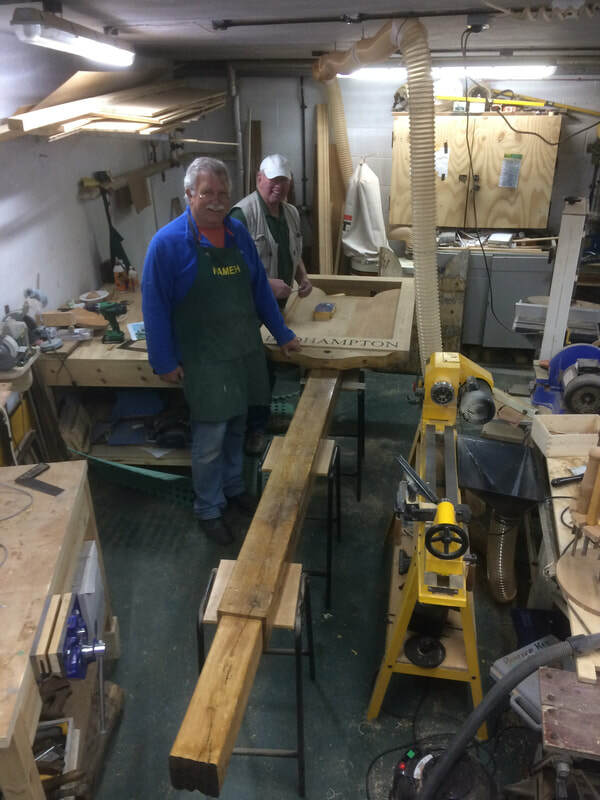 Under Stewarts guidance with help from Terry, Frank and others work began on the framing. 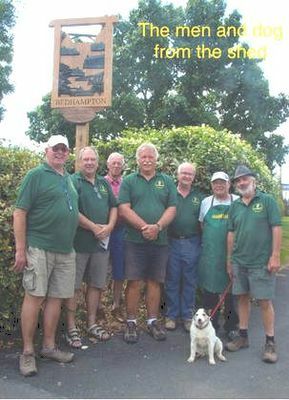 George from the woodcarving group undertook the letter carving . Stewart set to on sorting out the bronze parts so they could be better attached to the sign. ​The whole thing was then reassembled with stainless steel bolts and given several coats of sealer. 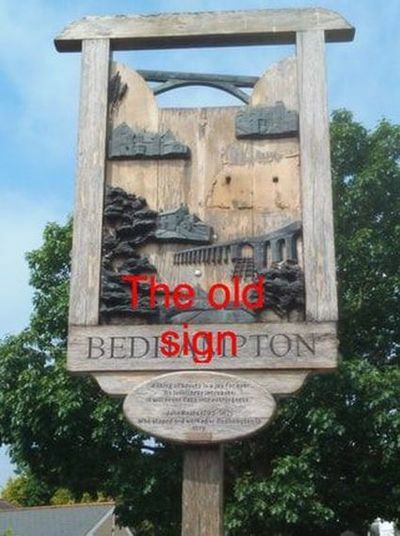 The council then arranged for it to be transported to the site and erected.